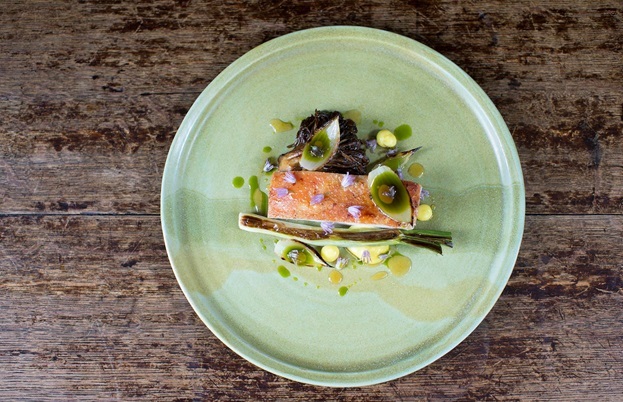 He might be one of the youngest chefs to hold a Michelin star, but Tommy Banks is more concerned with taking the ingredients and flavour of Oldstead and putting them on the menu at The Black Swan. Tom Shingler finds out more. The Black Swan at Oldstead – a name which doesn’t give much away. It could be a run-down boozer, a run-of-the-mill gastropub or a countryside bolthole serving modern British cuisine. 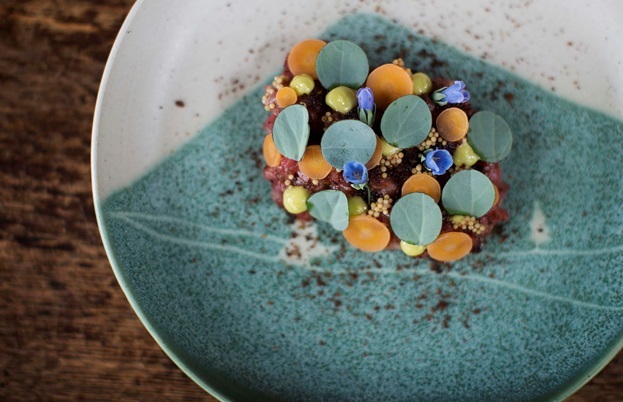 In fact, this destination restaurant has a Michelin star, offers dishes made entirely with local ingredients and has a seriously accomplished chef at the helm. Not bad for a business bought on a whim by the Banks family in 2006. Tommy never really planned to become a chef and to this day hasn’t completed any formal training. Instead, he learnt on the job in the kitchens of The Black Swan, helping out wherever he could. The restaurant won a Michelin star in 2011, and when Tommy was given the role of head chef in 2013 aged just twenty-four, there was a lot of pressure to maintain the level of cooking. But he managed it. ‘I think I worked every day for about three months around that time – it was really hard. While it was great that we had a Michelin star, the style of cooking was very classical and quite French. I felt a little bit like a fraud because I was being named in the press as the youngest Michelin-starred chef in the UK but hardly any of the dishes were my own. 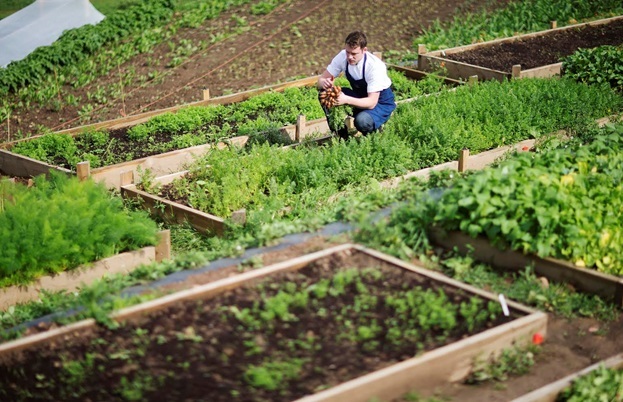 Tommy went about making the menu his own, using produce from the family farm and seeking out the best local suppliers. Today the restaurant is almost entirely self-sufficient, meaning common ingredients such as olive oil and lemons aren’t used in the kitchen. This type of cooking is obviously completely dependent on the seasons, which makes winter a bit of a challenge when it comes to fresh produce. 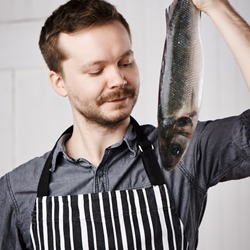 But Tommy has it covered – taking inspiration from Nordic restaurants such as Faviken, he ensures any gluts during the warmer months are set aside and preserved for when fresh ingredients are scarce. 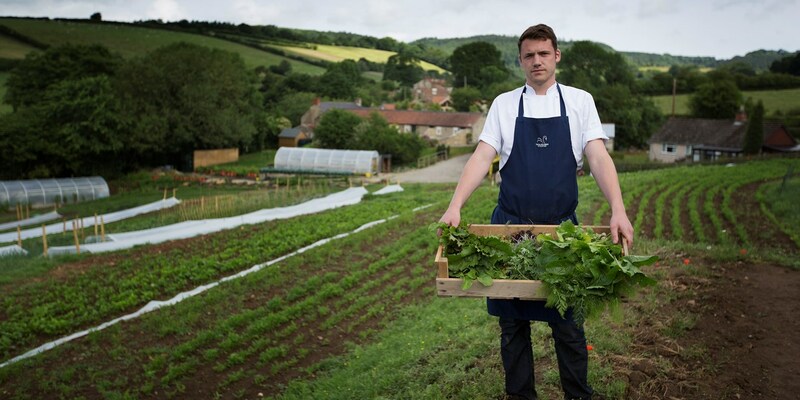 Foraging adds a point of difference to Tommy’s dishes – wild garlic, sorrel and woodrush are picked when in season and used in all manner of inventive ways – but the fact that The Black Swan has its own garden, maintained by Tommy’s farming family, means that they have access to some of the best ingredients in the UK. Heritage varieties of all sorts, fresh berries and even exotic ingredients like oca – a type of Peruvian tuber – are grown in either the two-acre kitchen garden or on the farm. Perhaps one of Tommy’s most famous dishes is the Crapaudine beetroot cooked slowly in beef fat – a quintessential Yorkshire dish that takes a simple ingredient and elevates it to Michelin-starred status. It’s safe to say that Tommy has now made the menu at The Black Swan his own, giving diners a real reason to make the trip to relatively rural Oldstead. 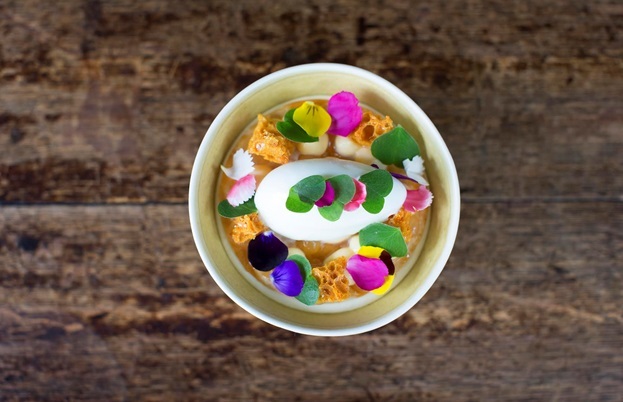 In the process he’s retained a Michelin star, showed much more experienced chefs how it’s done on Great British Menu and made a name for himself as one of the UK’s most exciting young chefs. But is that it? Is he now happy with how the pub operates? ‘I’m relatively happy with the cooking, but there’s still so much to do,’ he says. ‘We’ve got huge plans with how we want The Black Swan to grow – new rooms for people to stay in, expanding the building, things like that.’ And with Tommy set to stun the judges on Great British Menu for a second year running, we expect he’ll need the extra room for all the bookings the Banks family will no doubt receive.